In our last Ask the Expert post, we explored tactics for expanding the reach of your messaging on LinkedIn with RazorSocial Marketing Blog & Digital Marketing Superstar, Ian Cleary. This time around, we are joined by TopRank Online Marketing CEO Lee Odden. Over the past decade, Lee has made TopRank Marketing an industry leader in co-creating content with influencers. This year, TopRank took home a Killer Content Award for their co-created marketing campaign for Content Marketing World 2014. Lee also writes for the award-winning TopRank blog, and is the author of Optimize: How to Attract and Engage More Customers by Integrating SEO, Social Media and Content Marketing. He has been invited to share his marketing expertise at events around the world, and will be making upcoming appearances at Inbound, Content Marketing World, and the PRSA International Conference. 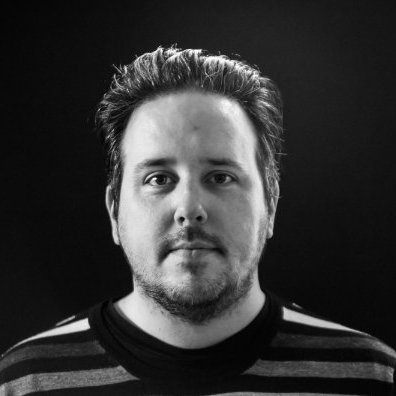 In our Q&A below, Lee talks about attracting influencers when you’re just starting out, the tools he uses to manage influencer relationships, and the value of seeking out “brandividuals” for your influencer campaigns. LinkedIn: What advice do you have for marketers who believe in the power of influencer marketing, but are hesitant to dive in due to lack of brand recognition or social following? Lee: One of the major objectives for influencer marketing programs is for companies to grow their own influence as a result of working within those that already have it. Starting without brand recognition or a social following is normal. LinkedIn: You've co-created content with hundreds of influencers over the years. What are the most important lessons you have learned that can help marketers improve their influencer outreach response rate? 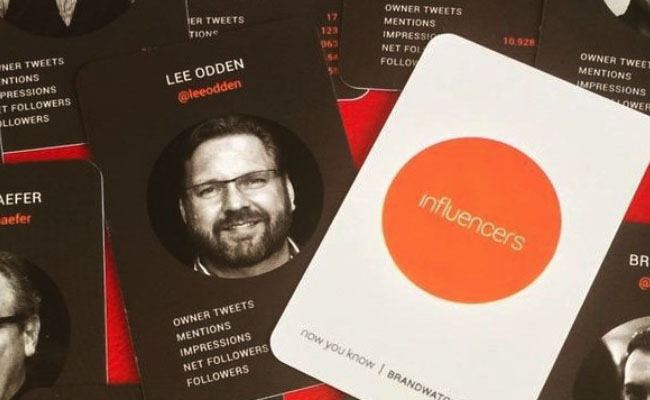 Lee: Rather than picking a list of influencers from memory, smart marketers include a combination of personal networks like LinkedIn connections with research using influencer discovery tools like Traackr, BuzzSumo or GroupHigh. Following, commenting and asking simple, yet relevant questions are a great way to open the door to influencer relationships whether you're a big brand or a start-up. Figuring out what's important to the influencer and approaching them in a way that shows you are considerate of their motivations is far more effective than the more common "ask": “Please answer these questions for us and then promote the resulting content for free." Being creative works too. Our first influencer eBook asked influencers to participate in the voice of secret agent and many replied with their contributions, playing along with the secret agent theme. LinkedIn: How can marketers use LinkedIn to improve influencer outreach? Lee: LinkedIn has been an indispensable tool for me when researching influencers by keyword and seeing what kind of content they create and share. It's also one of the most effective tools for communicating with business professionals when you do not have their email address. LinkedIn InMails are gold for making contact and generating interest. Additionally, sharing the resulting co-created content on LinkedIn while being sure to tag those new connections that contributed creates a nice interaction and sharing opportunity. Those signals reinforce the value of exposure you're providing to participating influencers. Publishing excerpts or repurposed versions of your co-created content on LinkedIn also reinforces the value your company is creating for the influencers and can increase their likelihood of responding to future offers. LinkedIn: You encourage marketers to distinguish between brandividuals, who are popular, and influencers, who can create popularity. How can marketers ensure they are targeting influencers who can create popularity? Lee: It would be convenient if everyone that has actively created authority for their personal brand and a following was always a "brandividual" or an "influencer." The reality is, popularity and effectiveness at inspiring action will fluctuate over time. What this means for distinguishing those influencers that can create popularity is that tools are necessary for identifying topics, conversations and the sources inspiring action. When you have a draft list of 100 or so influencers, you can then use influencer management tools to identify the impact, reach and resonance of the content publishing and social media behaviors of those influencers. For example, something as simple as looking at Retweets on Twitter vs. follower counts will often reveal that niche influencers inspire far more action amongst their community, even though other influencers may have substantially greater followings. It's important to note: most influencer marketing programs do best with a combination of brandividuals and niche influencers. Focusing only on influencers that inspire action can be very difficult to do without the "eye candy" of famous brandividuals to lure them to the project. For more strategic advice on attracting and engaging more customers using an integrated approach to digital marketing, be sure to check out Lee’s book, Optimize. Secure a steady stream of tips and strategies from some of marketing’s brightest minds when you subscribe to the LinkedIn Marketing Solutions blog.